What I find most rewarding about plastic surgery is the ability to help patients in their pursuit of body restoration and image improvement. I feel privileged to be entrusted with such a personal and sensitive task. Every one of my patients has my full commitment to providing them with the best care and results that look and feel natural. Attention to detail is essential in the field of plastic surgery, and Dr. Mohammed Alghoul’s meticulousness has garnered him an esteemed reputation among both colleagues and patients. His passion for cosmetic surgery is fueled by his relentless pursuit of perfection as well as sincere compassion for the patient. He obtained his medical degree from the University of Jordan and his residency training in both general and plastic surgery at the prestigious Cleveland Clinic. Dr. Alghoul then completed fellowships in microsurgery and breast reconstruction as well as a dual fellowship in cosmetic face and eyelid surgery with renowned plastic surgeon Mark Codner. Dr. Alghoul is recognized for his extensive study of facial anatomy and expertise in cosmetic surgery of the eyelid and face. His study in oculoplastic surgery sets him apart and allows him to offer specialized techniques for eyelid procedures. His approach focuses on restoring the natural and youthful look that patient’s desire. He combines his knowledge and training in microsurgery with his cosmetic background to perform complex facial aesthetic reconstruction after cancer resection or trauma. Dr. Alghoul’s first fellowship lead to his special interest in breast reconstruction and a commitment to natural body restoration of each individual diagnosed with breast cancer. He is a firm believer that plastic surgery is not a cookie-cutter field of medicine, and each patient is unique. As such, he is particular in tailoring treatment to each patient individually in order to make the patient’s goals a top priority. 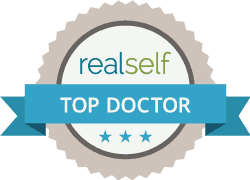 Dr. Alghoul is board certified in plastic surgery. 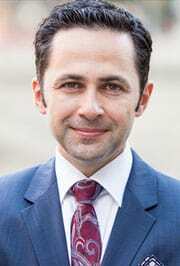 He currently serves as an Assistant Professor of Surgery at the Northwestern University Feinberg School of Medicine, where he teaches students and surgical residents. He primarily works at Northwestern Memorial Hospital and Prentice Women’s Hospital, but also performs surgery at Lurie’s Children’s Hospital and 900 North Surgery Center. He has lectured on facial and eyelid anatomy and has co-authored several peer-reviewed articles in leading plastic surgery journals. 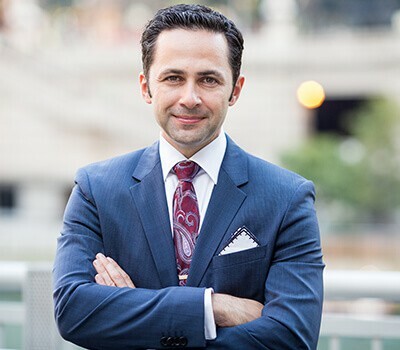 If you’d like to schedule a consultation with Dr. Alghoul to discuss one of the procedures he offers, please call (312) 695-3654 or contact us via email. © 2019 Mohammed Alghoul, M.D. The images you are about to see are graphic. Would you like to proceed?